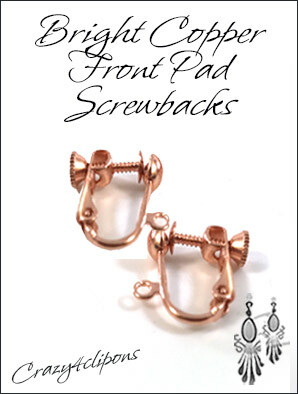 Features:Unusual, copper screw back clip earring findings. 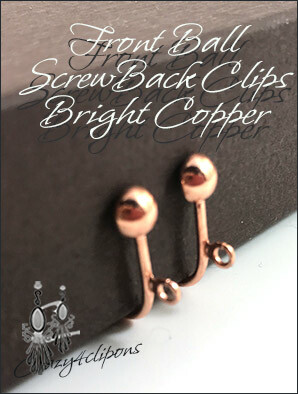 Bright copper tone, these clip earring parts are outstanding to make your own earrings or to repair/fix a pair of copper earrings and keeping the same bright copper metal color tone. These screw back findings are great for comfort, the screw mechanism allows individual control of the tension between the earring and the earlobe. Set the desired tension once and then just use the hinged mechanism to open and close the earring.